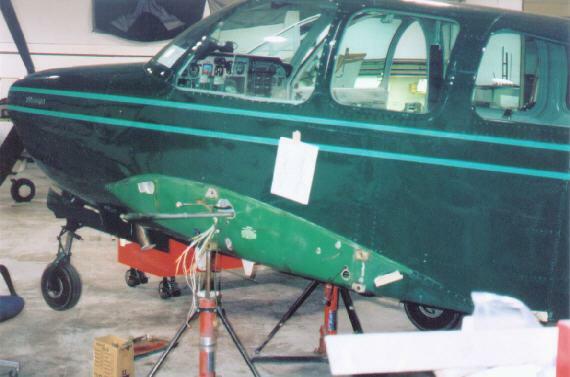 Spar repair | Beechcraft | AVSTAR Aircraft of Washington, Inc.
An aircraft is incredibly strong; but, when forces are against you, hard parts get bent. An ever-so-slightly bent spar still needs to be replaced. This is a ¼ inch concave in a 4 foot line. Of course, the leading edge and main wing section took some damage, also. Wing came off, and the spar removed. As much fun as that was, we could hardly wait for reassembly! We straightened the old spar, and cut lightening holes in the web, then reinstalled it to the main section. This facilitated a jig for the wing to be repaired. 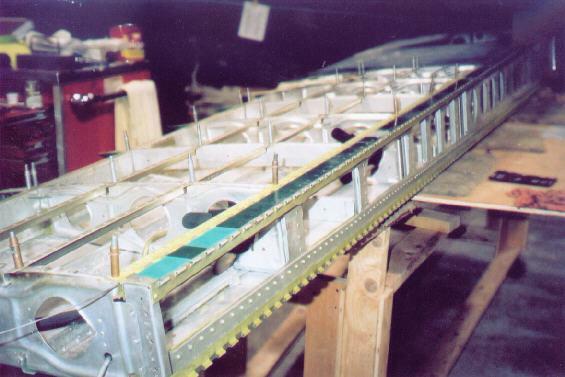 After the main section was repaired, the “jig” was then used on the leading edge section. 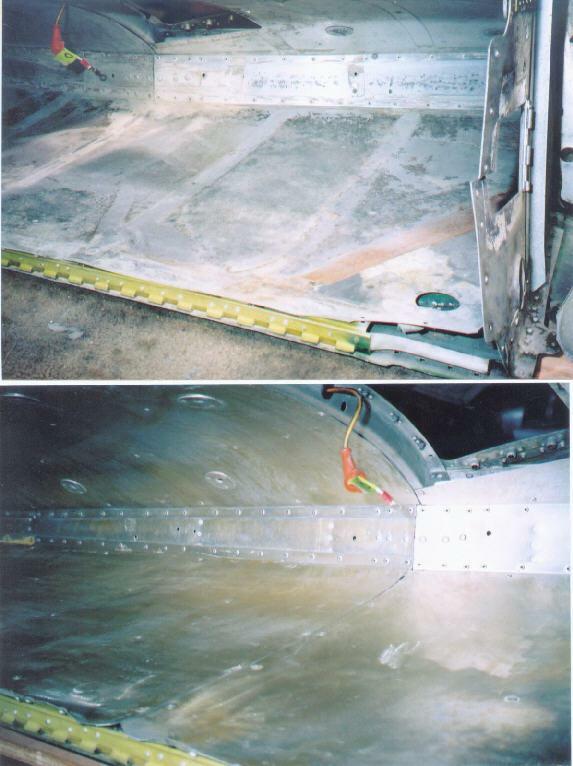 While the wing is open, this is an excellent time for corrosion control. Moisture is easily held to the fuel cell liner by the cell itself, and will slowly contribute to corrosion. The area was mechanically cleaned, then etched and alodyned. At this time, the forward portions of the liner were re-taped. The wing assembly process can not be described as un-eventful. We discussed our woes with many others who had performed this operation; the only constant was “patience”. The first 2 (of 4) pins went in without too much trouble, but we damaged 4 more by the time we figured out how to get the last 2 to co-operate. Once we figured how to hold our mouths, it went together. Wing was re-hung, systems attached and rigged.